Syria started taking delivery of the Russian T-54 Medium tank in during the 1950’s and its upgraded version the T-55 in the 1960’s. 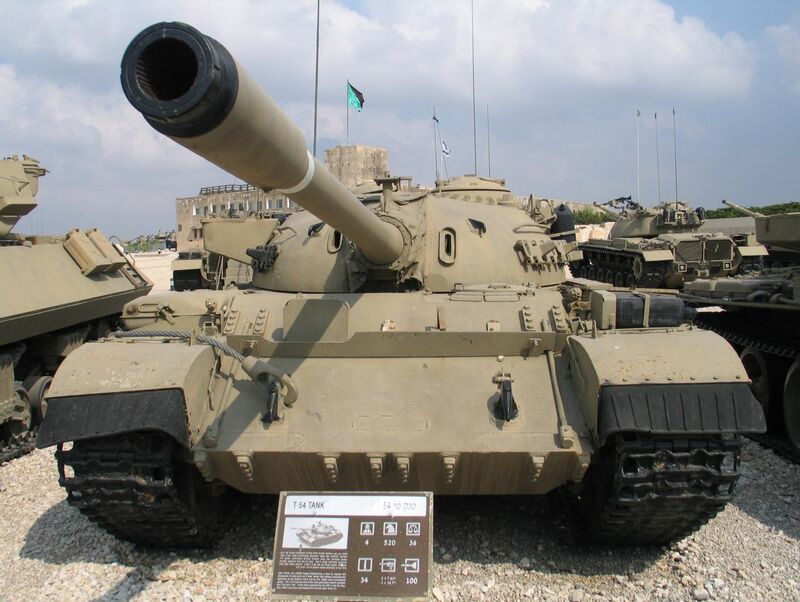 Egypt also took delivery of the same tanks in the 1960’s and both countries operated them during the 1967 Six-Day War and 1973 Yom Kippur War fighting Israel. 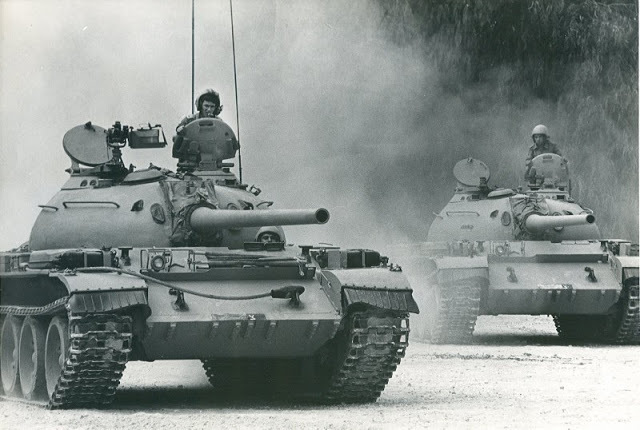 The British Centurion became the Sho’t and both the American M48 Patton and M60 Patton became the Magach series. This was continued with the captured T-54/T-55, which became the Tiran Series. Designation for captured non-modified T-54 in early IDF service. 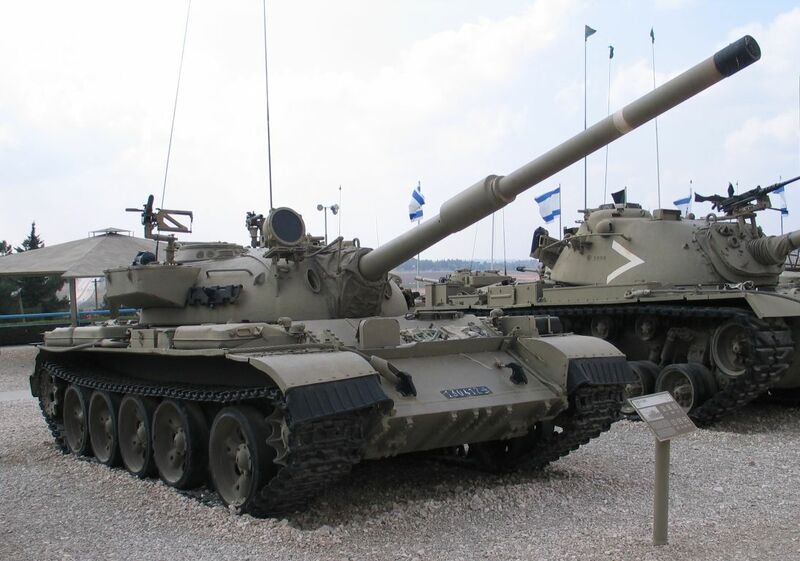 Designation for captured non-modified T-55 in early IDF service. First major modifications of T-54. Additional stowage boxes and jerry cans added to the turret, solid metal front fenders over tracks replaced with half black rubber ones. Loaders hatch replaced with one that opens towards to the rear, not towards the front like the original. A pintle-mounted .30 cal Browning Machine Gun in front of the loaders hatch and a new antenna mount were added. First major modifications of T-55. Additional stowage boxes and jerry cans added to the turret, solid metal front fenders over tracks replaced with half black rubber ones. Loaders hatch replaced with one that opens towards to the rear, not towards the front like the original. 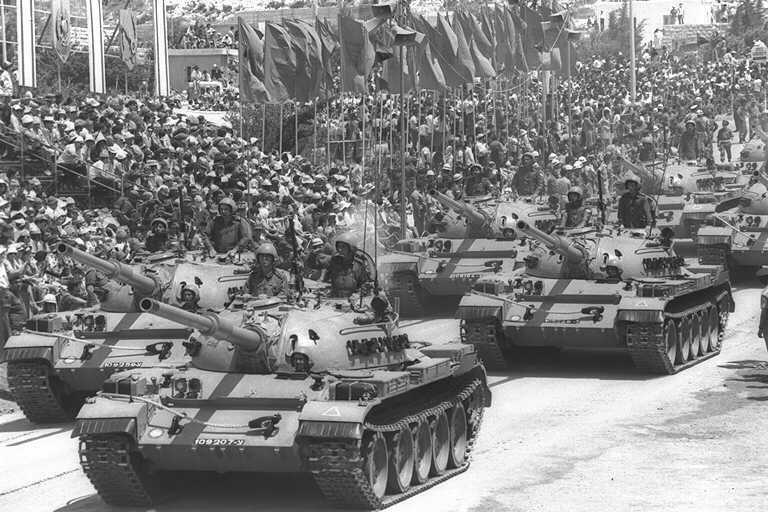 First major upgraded of the Tiran 4 and further captured T-54 in the 1970‘s. Most noticeable change was replacing the Russian 100mm main gun with a 105mm rifled license built American M68, which was a licence built British L7 used on the M60 Patton tank. Recognition of the Tiran 4Sh, the main guns fume extractor is now in the middle of the main gun, not at the end like the old Russian 100mm main gun. Modifications had to be made to the breach so that it could be loaded from the right where the loader was and changes to the ammunition stowage as the 105mm was different from the original 100mm. The coaxial Machine Gun was also replaced with a 7.62mm. Various pictures show that .30 MG’s and .50 were mounted on either (or both) commanders and loaders hatches as well as on top of the main gun. 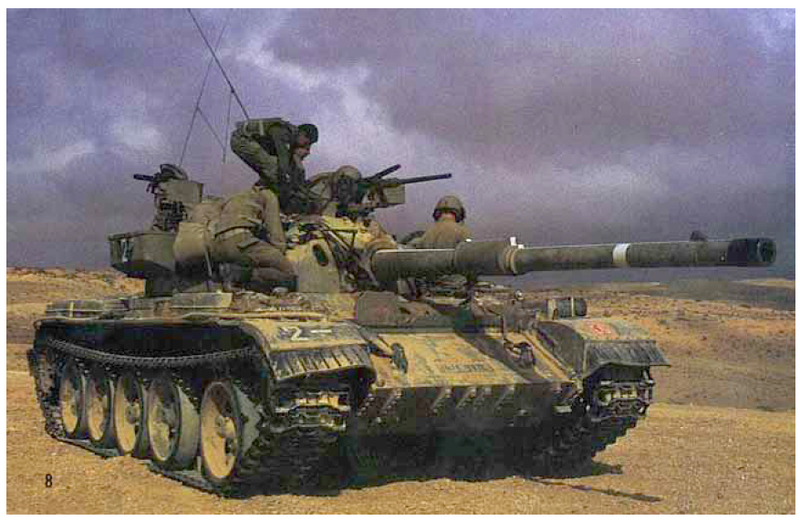 Fire Control Systems enhanced, Infar-Red lamp fitted and aiming device from IDF Sherman Tanks added. Other crew equipment changes made inside fighting compartment made. 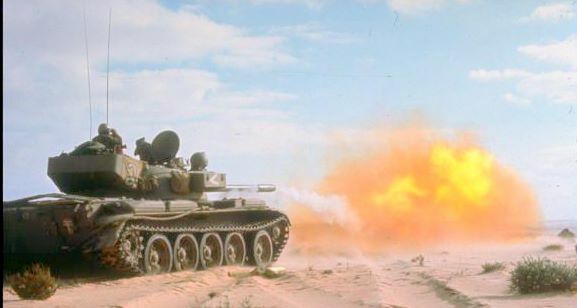 First major upgraded of the Tiran 5 and further captured T-55 in the 1970‘s. Most noticeable change was replacing the Russian 100mm main gun with a 105mm rifled license built American M68, which was a licence built British L7 used on the M60 Patton tank. Recognition of the Tiran 5Sh, the main guns fume extractor is now in the middle of the main gun, not at the end like the old Russian 100mm main gun. New Fire Control Systems including night fighting capability. Other crew equipment changes made inside fighting compartment made. New communications system. 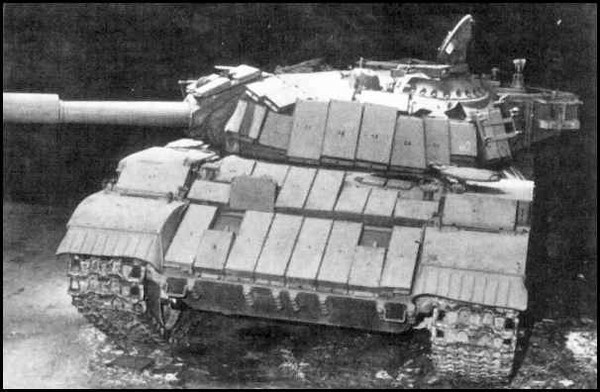 Ti-67 was a generic designation for all Tiran Tanks. The “s” upgrade saw improvements in firepower with a new computerized fire control system, night vision equipment, gun stabilization system. Mobility was improved with a new Detroit Diesel 8V-71T engine, transmission, improved suspension and changes made to the drivers station. Protection was increased by adding Blazer explosive reactive armour and extensive external stowage was added. 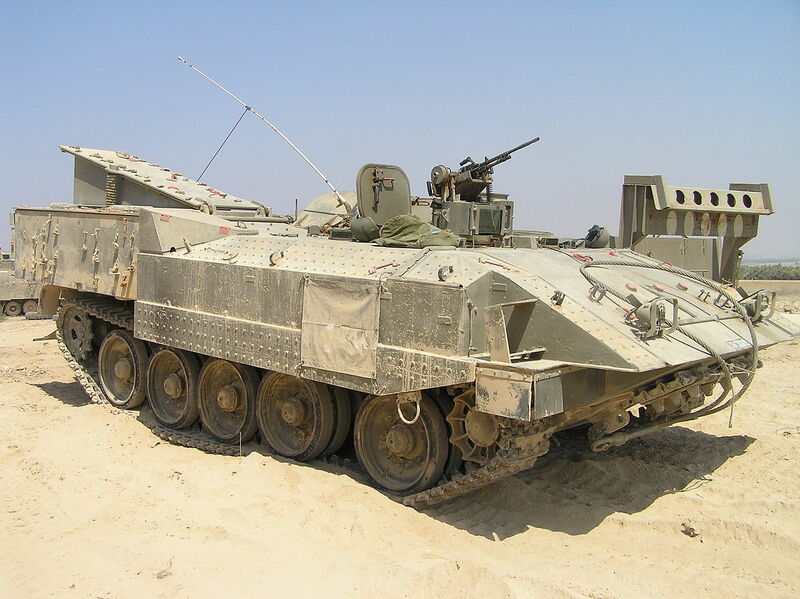 The Ti-67 is no longer in IDF service with many being converted to The Achzarit (אכזרית in Hebrew: “cruel”) heavy APC from 1988 onwards and still remains in service.